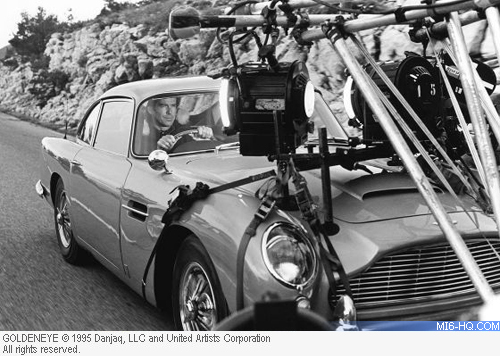 The iconic Aston Martin DB5 is back, thanks to a unique collaboration between Aston Martin and EON Productions, the company that produces the James Bond films. Following the successful DB4 G.T. continuation project, a series of 25 Goldfinger DB5 continuation editions, will be created for customers by Aston Martin Works and EON Productions. The Goldfinger DB5 continuation will be based on James Bond’s legendary car from 1964 and built by Aston Martin Works at Newport Pagnell – the original home of the DB5. They will be authentic reproductions of the DB5 seen on screen, with some sympathetic modifications to ensure the highest levels of build quality and reliability. This authenticity will extend to include functioning gadgets such as revolving number plates and more, which were made famous in Goldfinger. The gadgets will be co-developed with Oscar-winner Chris Corbould, special effects supervisor from the James Bond films. Officially sanctioned by Aston Martin and EON Productions, all the Goldfinger edition cars will be produced to one specification – Silver Birch paint – just like the original. 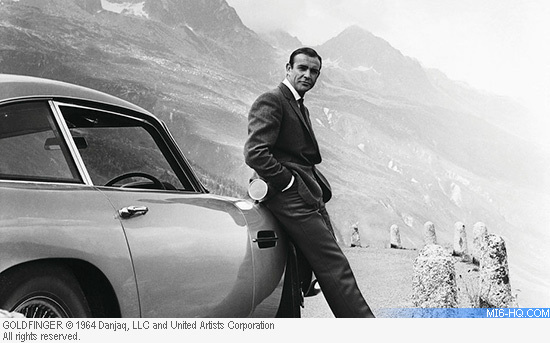 The most instantly recognisable car of all-time, the DB5 made its first appearance in the third James Bond movie, Goldfinger, alongside Sean Connery as James Bond. 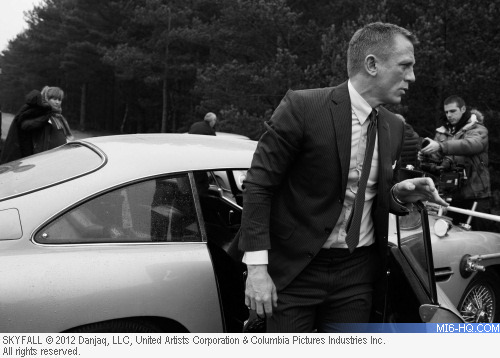 Laden with gadgets and armaments installed by Q Branch, the secret agent’s Aston Martin became an instant hit with moviegoers. Since its seminal appearance in Goldfinger the DB5 has featured in a further six James Bond movies: Thunderball (1965), again with Connery; GoldenEye (1995) and Tomorrow Never Dies (1997) with Pierce Brosnan and three appearances alongside Daniel Craig in Casino Royale (2006), Skyfall (2012) and Spectre (2015). 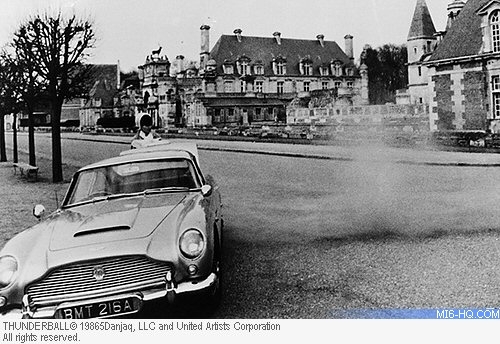 James Bond and his DB5 have become two icons of popular culture and one of the most successful and enduring movie partnerships of all-time. Such was its popularity, the DB5’s movie debut even spawned a Corgi die-cast model, an astonishing 2.5m of which were sold in its first year of production (1965). No wonder an entire generation of children grew-up aspiring to own an Aston Martin. Now, thanks to the remarkable Goldfinger DB5 continuation project, a fortunate 25 of them can now own a faithful and authentic tribute to that original car. A further three cars will be built – one each for EON and Aston Martin, plus another to be auctioned for charity. Andy Palmer, President and Chief Executive Officer, Aston Martin, said: "The connection between Aston Martin and James Bond is something of which we are very proud and it is remarkable that the DB5 remains the definitive James Bond car after so many years. To own an Aston Martin has long been an aspiration for James Bond fans, but to own a Silver Birch DB5, complete with gadgets and built to the highest standards in the very same factory as the original James Bond cars? Well, that is surely the ultimate collectors’ fantasy. The skilled craftspeople at Aston Martin Works and the expert special effects team from the James Bond films are about to make this fantasy real for 25 very lucky customers." Paul Spires, Managing Director at Aston Martin Works, added of the Goldfinger DB5 continuation editions: "The connection between Aston Martin and James Bond originated more than half a century ago. Creating 25 Goldfinger DB5 continuations and working with EON Productions and special effects supervisor, Chris Corbould, is something truly unique and a real career highlight for everyone involved here at Aston Martin Works." Each Goldfinger DB5 continuation car will be priced at £2.75m plus taxes. First deliveries to customers will commence in 2020. The car will not be road legal.